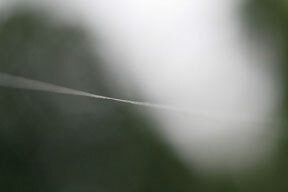 I recently looked out my window early in the morning and noticed a gleaming and taught spider web/string running from my lawn chair to the tree that shades my deck. 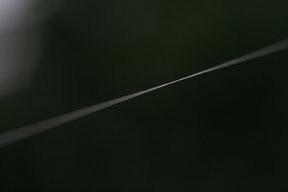 I went outside to take a closer look and was amazed at how thick and beautiful the single thread was and immediately grabbed my camera and macro lens. 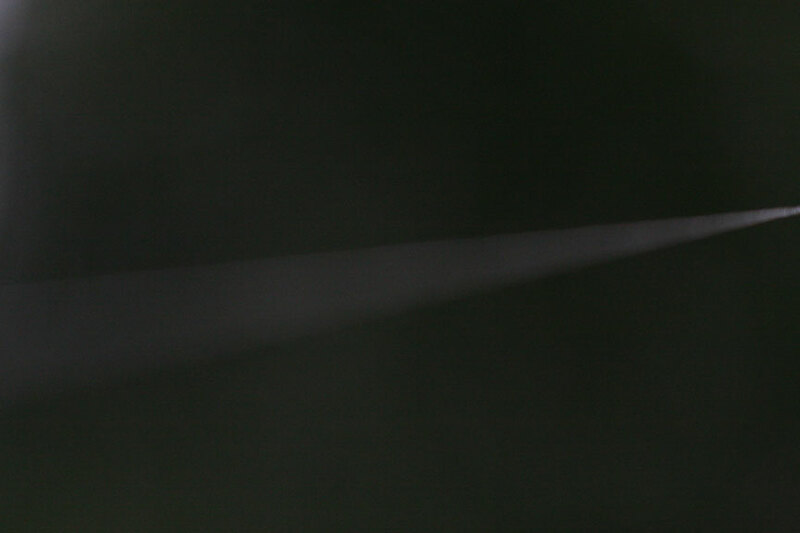 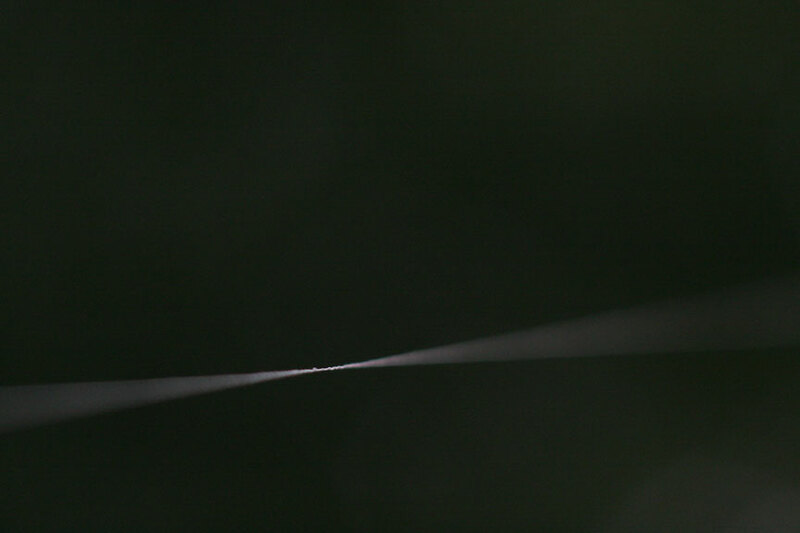 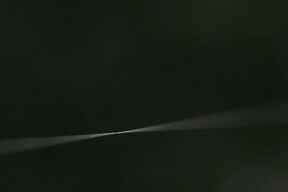 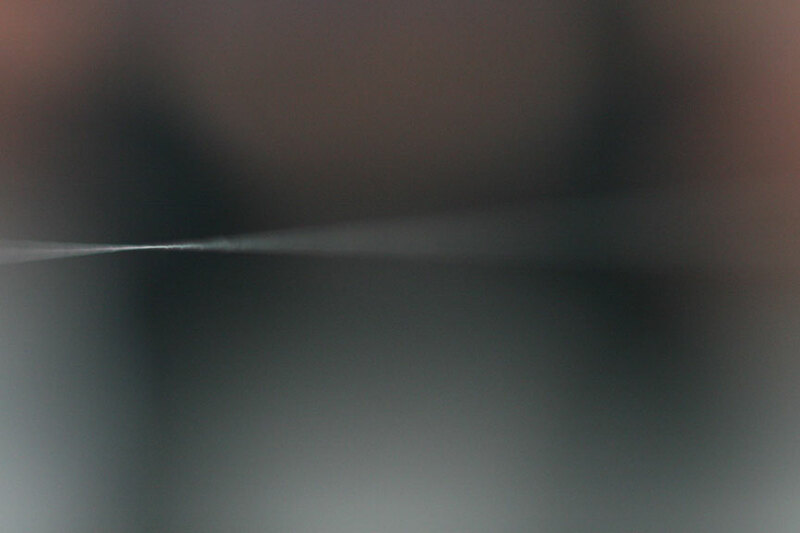 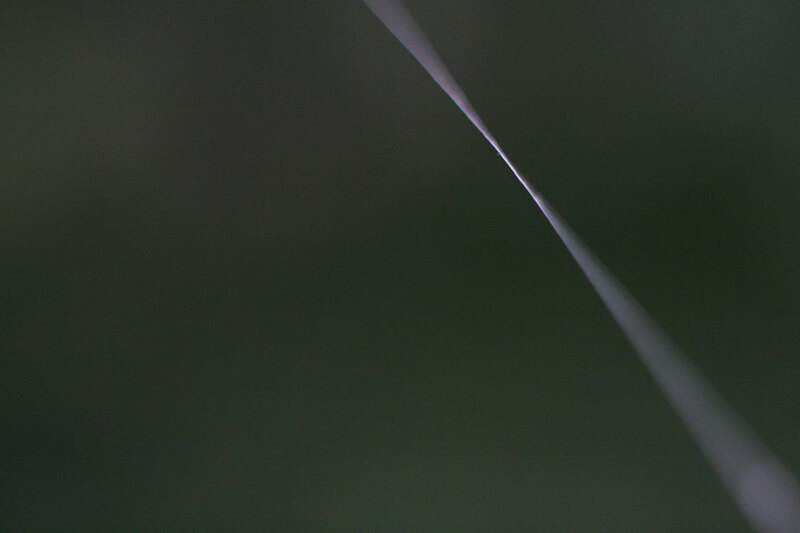 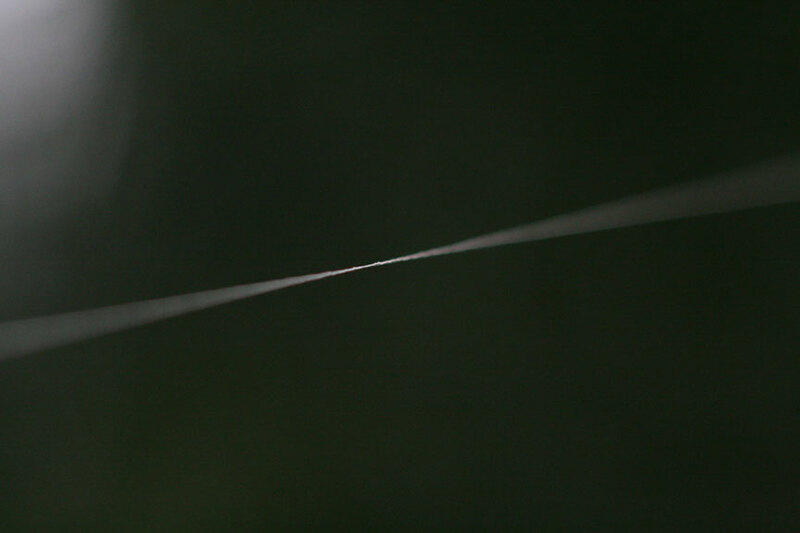 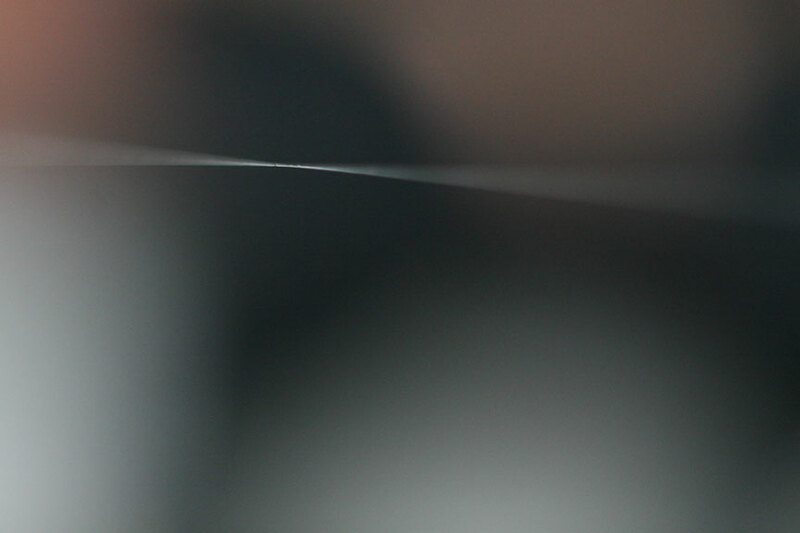 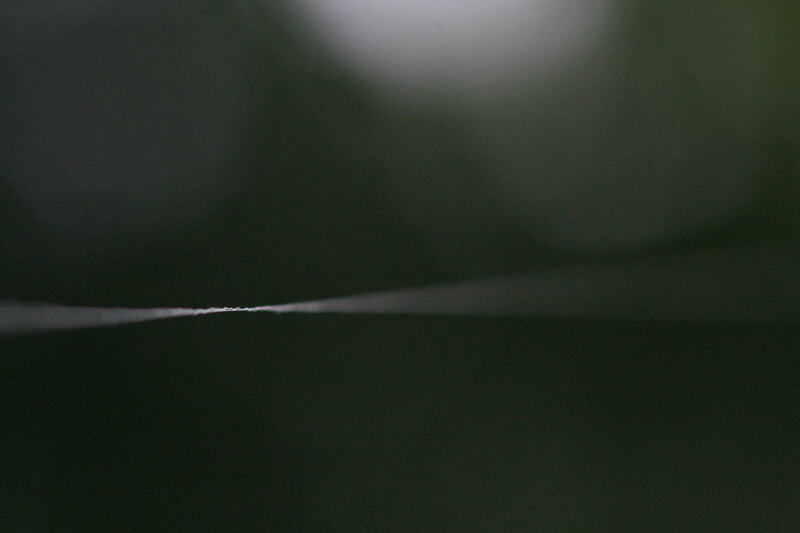 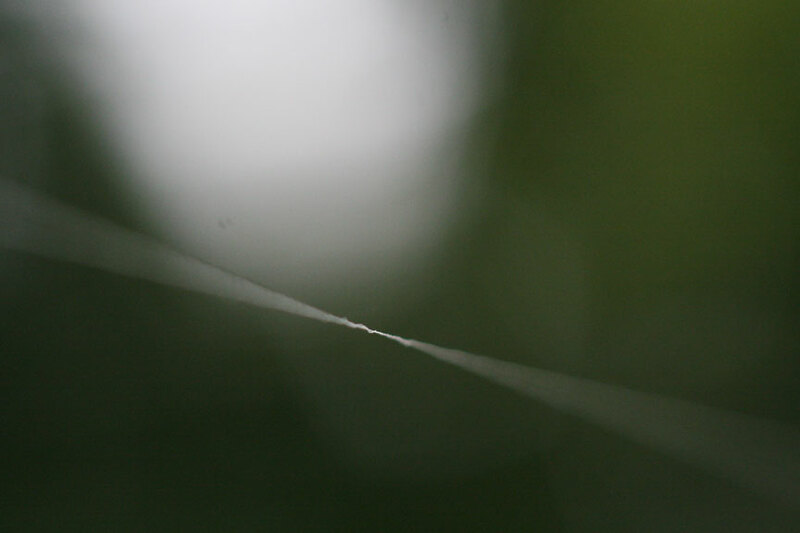 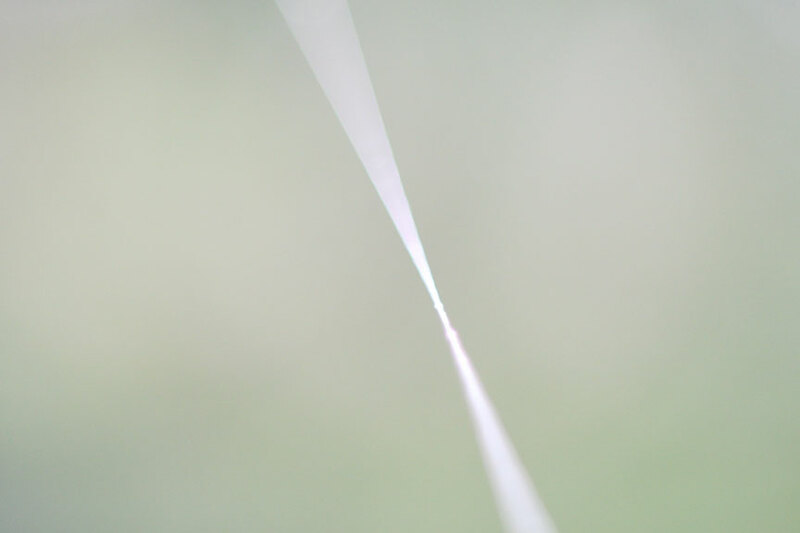 The spider's silk is clear and when the light is correct it is almost invisible, as the breeze bobbed the thread I took photos. 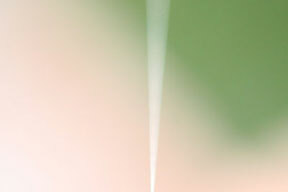 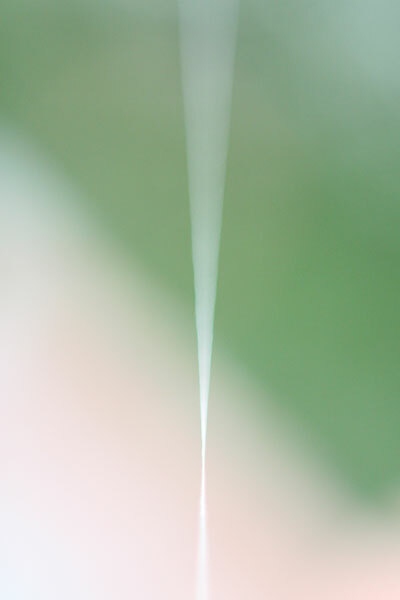 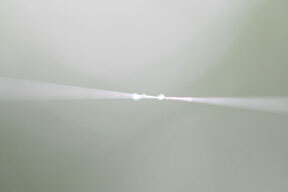 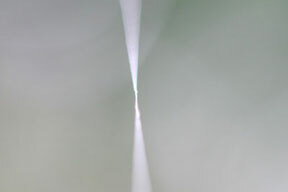 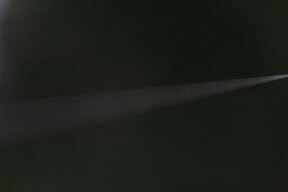 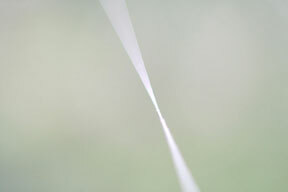 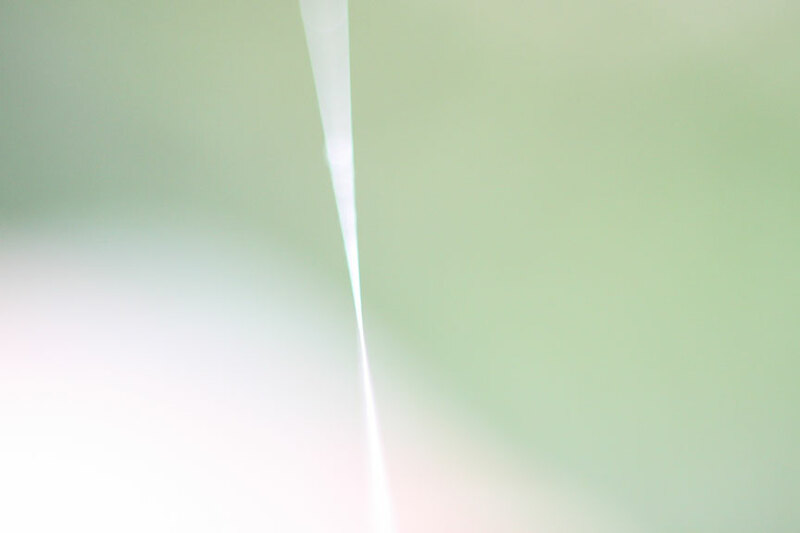 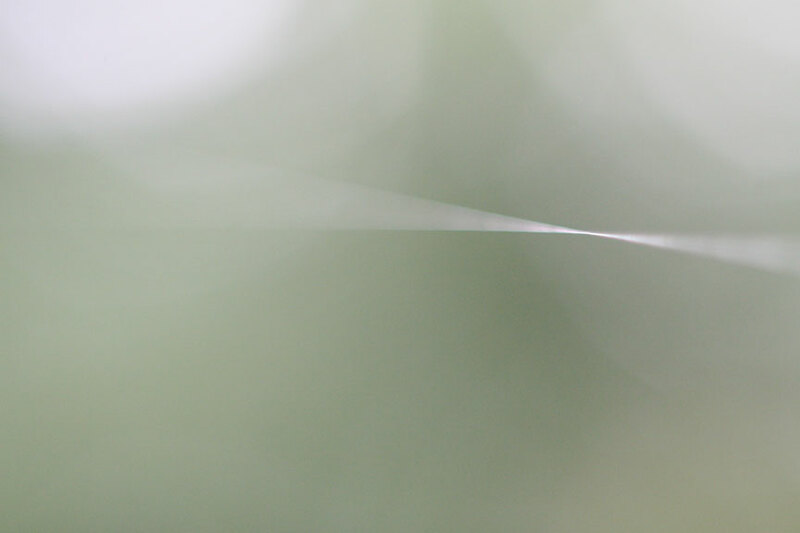 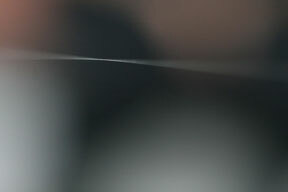 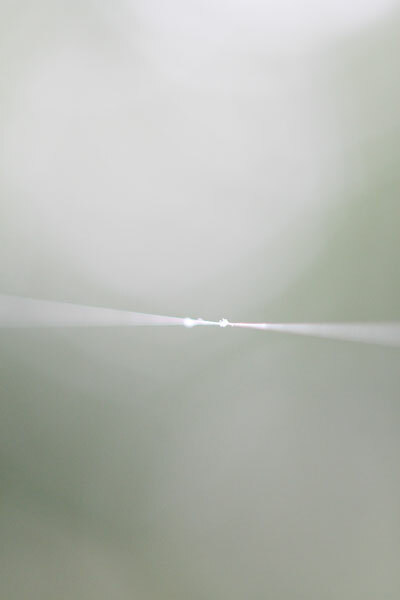 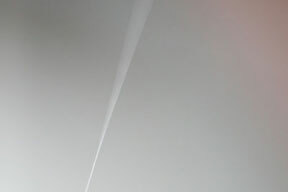  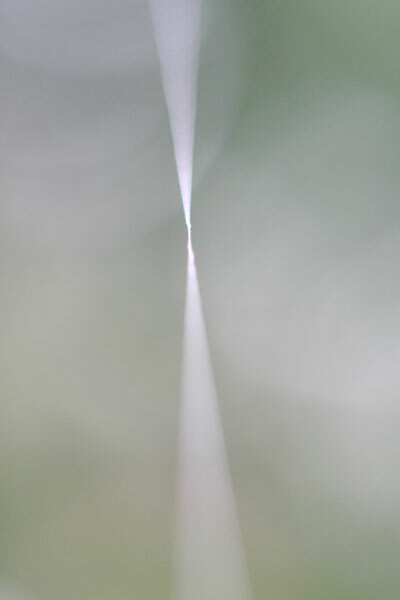   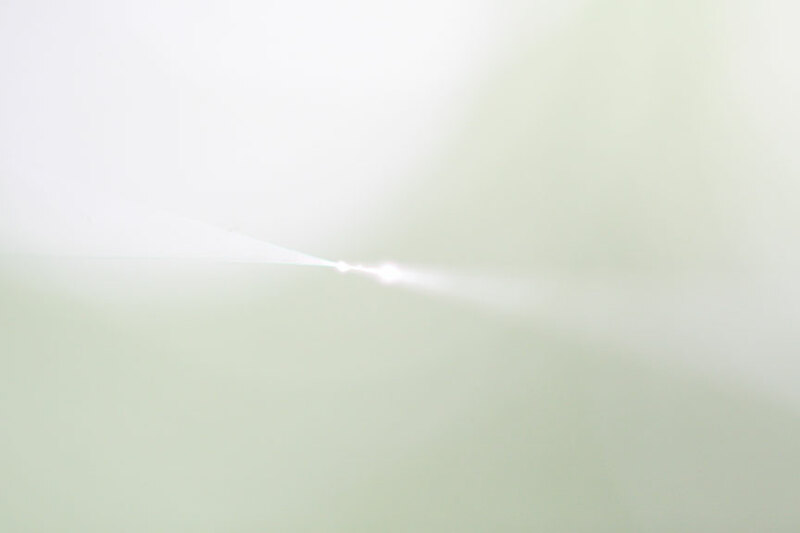  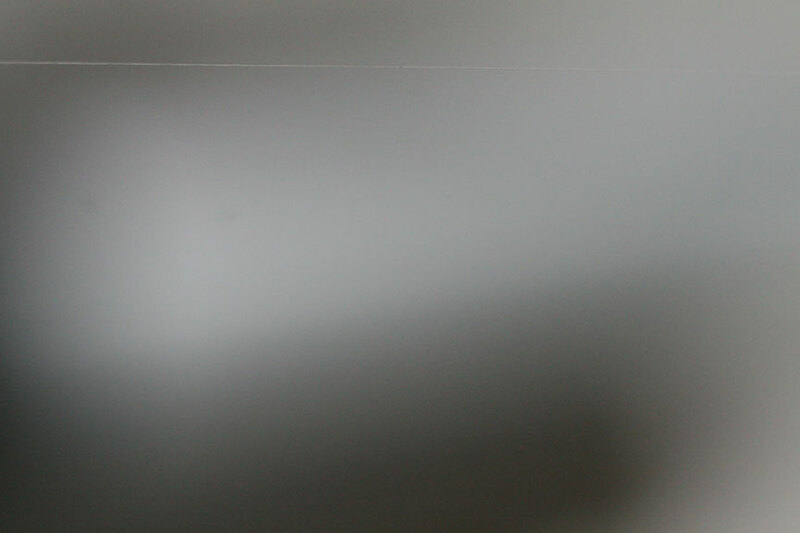 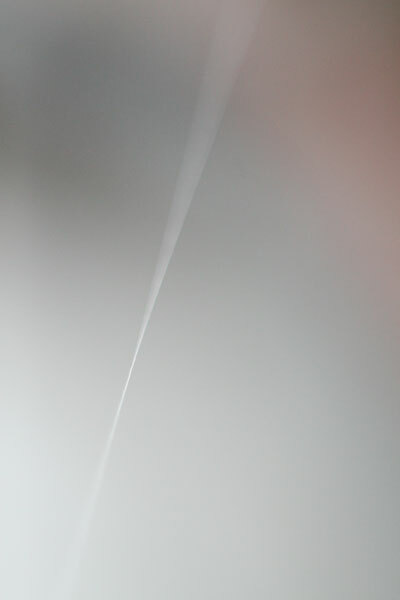 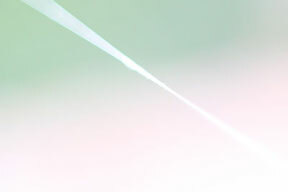 The motion combined with the near transparent subject and the macro lens’ extreme depth of field created this soft and subtle abstract series of photographs. 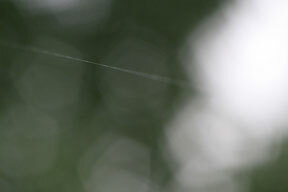 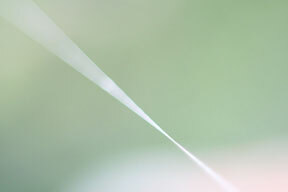 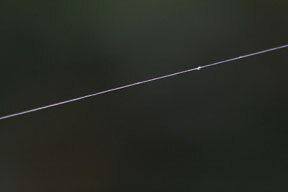  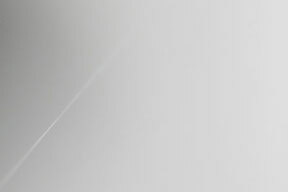 “Many webs span gaps between objects which the spider could not cross by crawling.  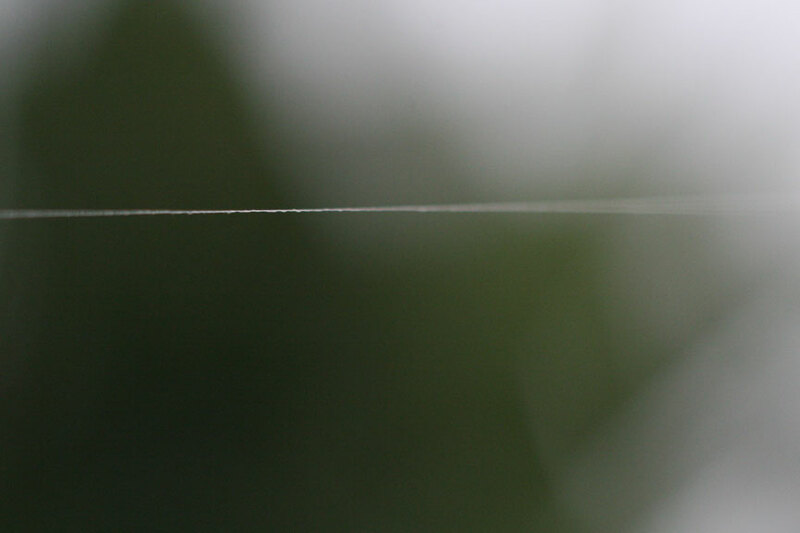 This is done by letting out a first fine adhesive thread to drift on the faintest breeze across a gap. 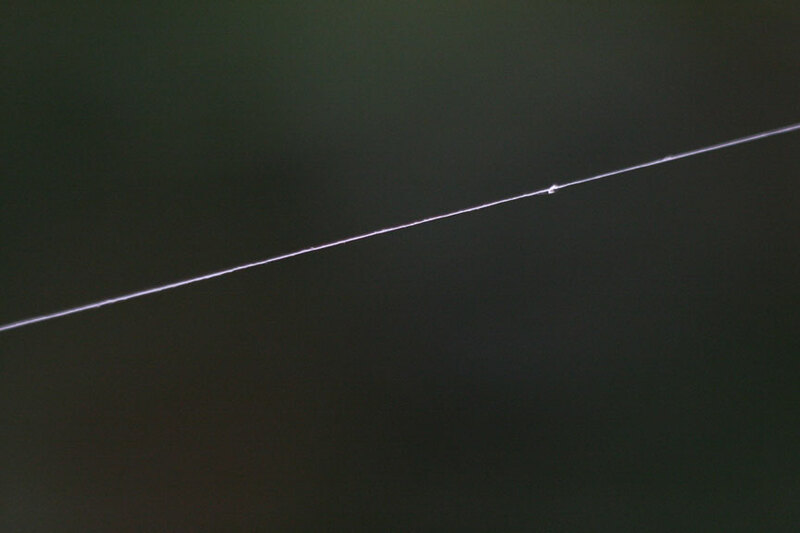 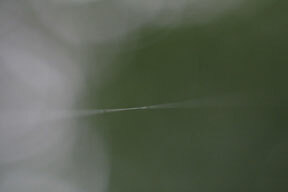 When it sticks to a suitable surface at the far end, the spider will carefully walk along it and strengthen it with a second thread. 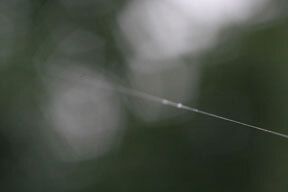 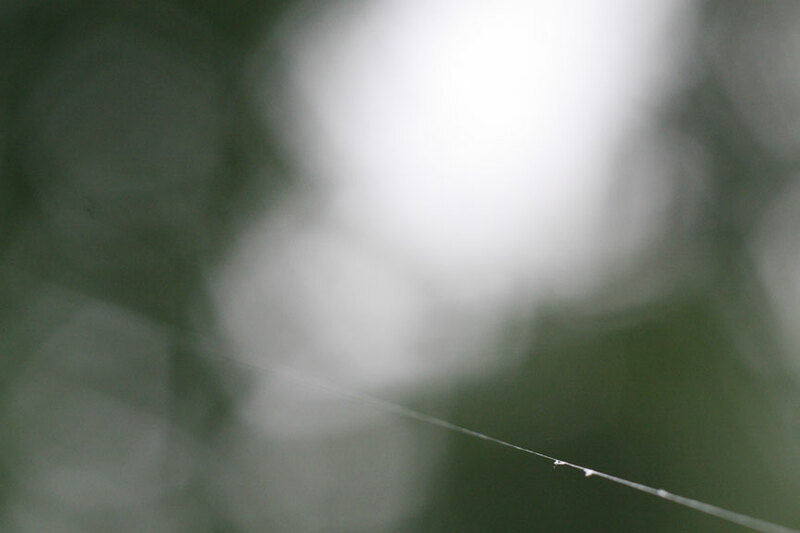 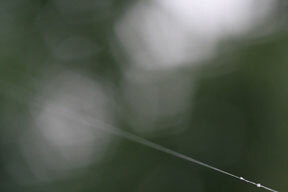 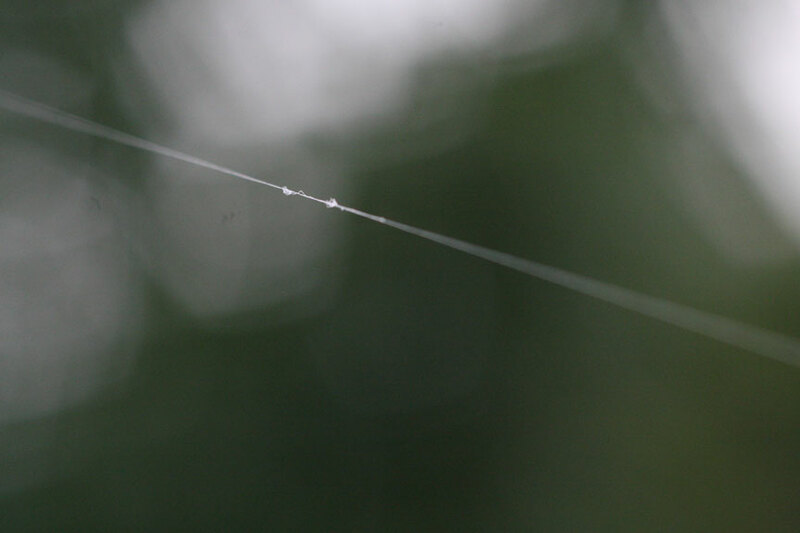  This process is repeated until the thread is strong enough to support the rest of the web.” Wikipedia states in its description of Spider Webs.